School’s starting next week and looking back, I must say that the holidays after the A levels were the best few months of my life! Lots of travel around different countries with vastly different cultures, ample time to focus on building new friendships and maintaining old ones, the purchase of my awesome camera that brought travel and eating to a whole new level for me, finally pursuing my passion for baking after months of studying recipes in between mugging and of course, starting this blog to catalogue all my new encounters. Mum and Dad anticipate that I’ll be swamped with work when I start school ( though I sincerely hope it will not be the case) so they decided that the traditional year-end holiday that we always have should be shifted to july. I really wanted to go back to Hokkaido following recommendations from a close friend, but the parents decided otherwise. 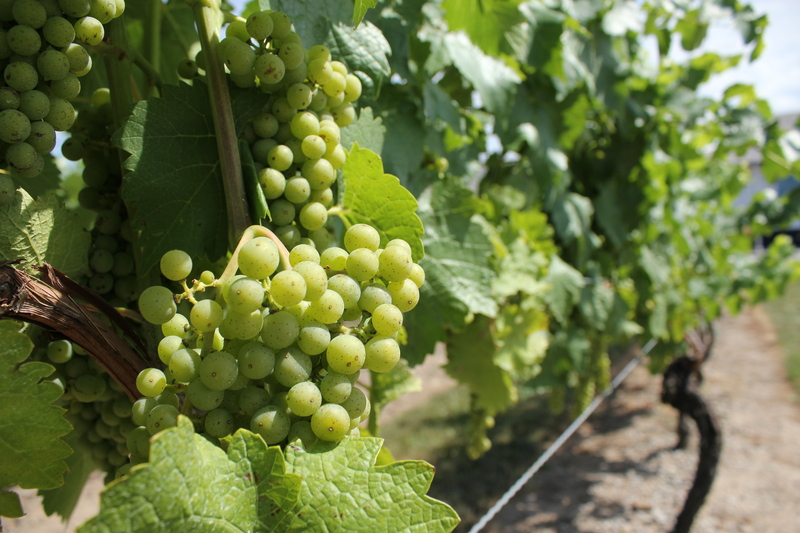 ‘Why go to Japan when we were there in April?’ they reasoned. So I grudgingly agreed to go New York after hearing that we’ll be heading to Niagara Falls as well. Why grudgingly you ask? 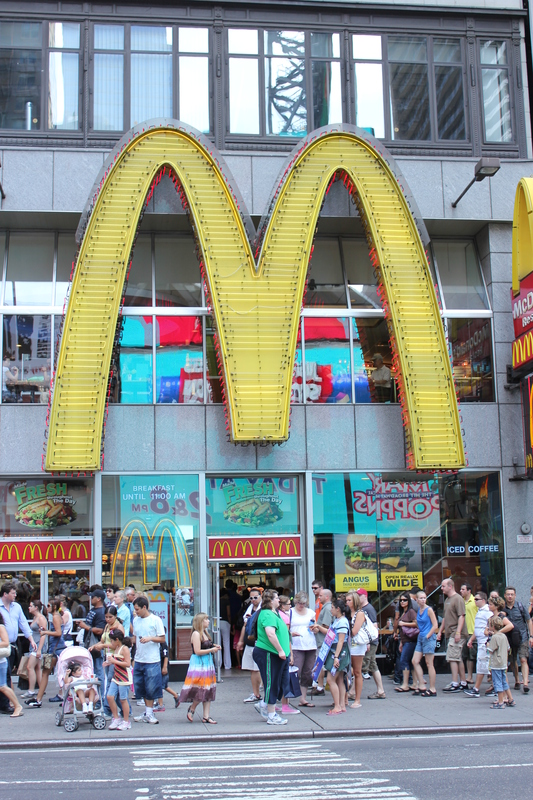 Let’s just say that I’m not a fan of the fast food culture there and the fact that there’s nothing much to do but to shop and eat there- or so I thought. Times square at 9+pm. And lest you think it is because people were leaving after broadway productions, this crowd remained till the wee hours of 1am and showed no signs of abating! 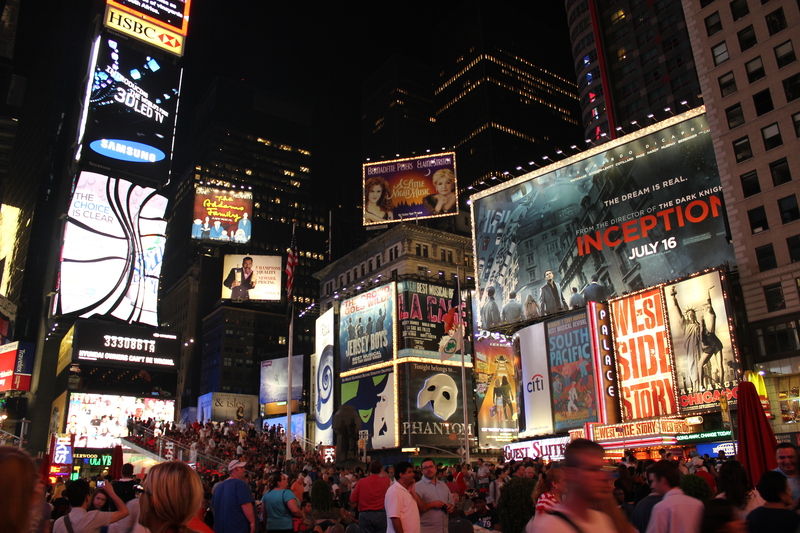 This was taken at Times Square, amidst all the jostling there was suddenly a large circle formed and a lot of commotion. Curious, I squeezed my way through only to be confronted by this scene which I didn’t know whether to feel offended or buckle over with laughter. The woman in purple looked like she felt the exact same way. Niagara was the total opposite of New York. 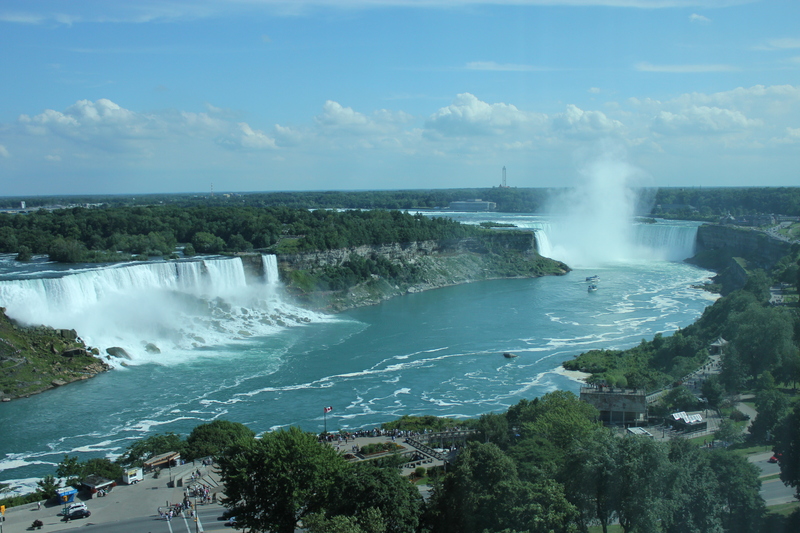 A breathtaking view from my hotel room in Sheraton of the American Falls ( left) and the Horseshoe Falls (right). While the American Falls may seem bigger and more magnificent in this picture, it is not so when you actually get near to each one! The cloudy stuff you see shrouding the Horseshoe falls is actually a midst that measures a few stories high, generated by the thundering veil of water. and a whole lot more relaxed and laid-back! 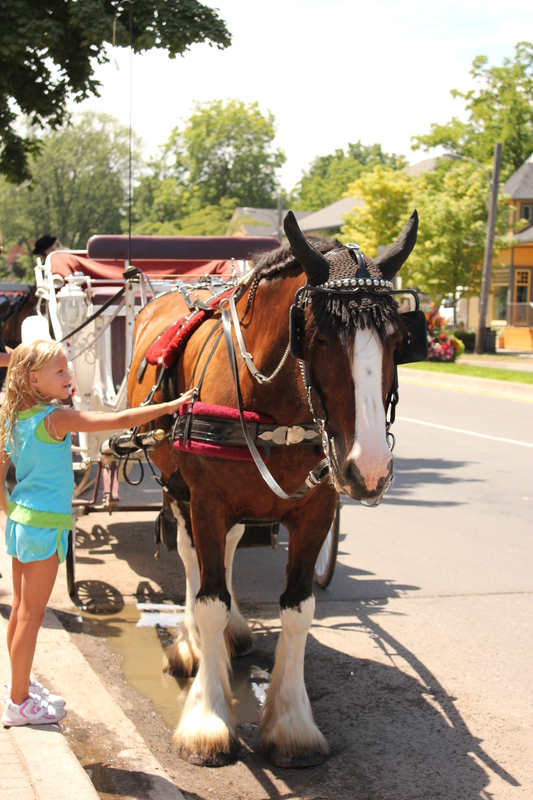 a young girl stroking a horse near the Prince-of- Wales hotel also located in Niagara-On-the-Lake. Stay tuned for more detailed posts about my eats and travels around these two areas!